Ok, so much for the mushy bits. On to the recipe…. 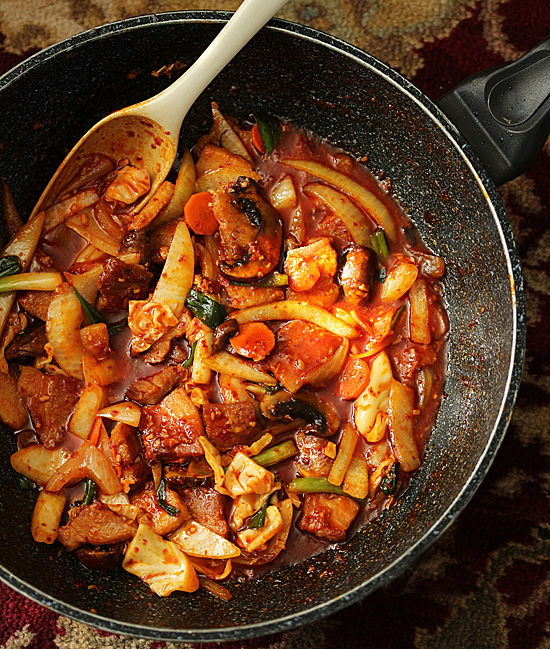 Dak Galbi is one of those dishes where you take your first bite, close your eyes and say raptureously, “Oh my god, this is amazing!” Well, at least that is what my live-in family member said when he had his first bite. I have been making this about once a week for the last few months, and frequently for a couple of years. 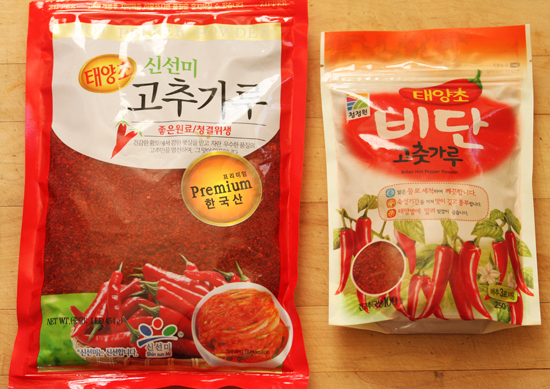 One of the things that is great about it is the red pepper paste (gochujang) and red pepper powder (gochugaru) are cheap. You can make this so many times and hardly make a dent in your supply. Gochujang, the red pepper paste, has shown up recently in my local Ralph’s Market, but if you can’t find it near by, you can order it from Amazon. If you live in Los Angeles you can buy it at my local Korean Market World in Torrance. You can also use it to make Korean Chicken Wings. Gochugaru, the red pepper powder, can also be found at Market World or on Amazon. 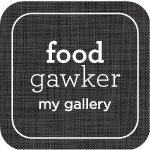 You can also use it to make Spicy Korean BBQ Sliders with Sesame Ginger Slaw, and Fried Tofu and Spicy Red Pepper Sauce with Ginger and Sesame. When I decided to make this dish to photograph, I didn’t have any chicken, but I was dying for my shot of spicy sauce, so I used the protein I had in the freezer, which turned out to be pork belly. When you make it, use chicken, ok? At least the first time. 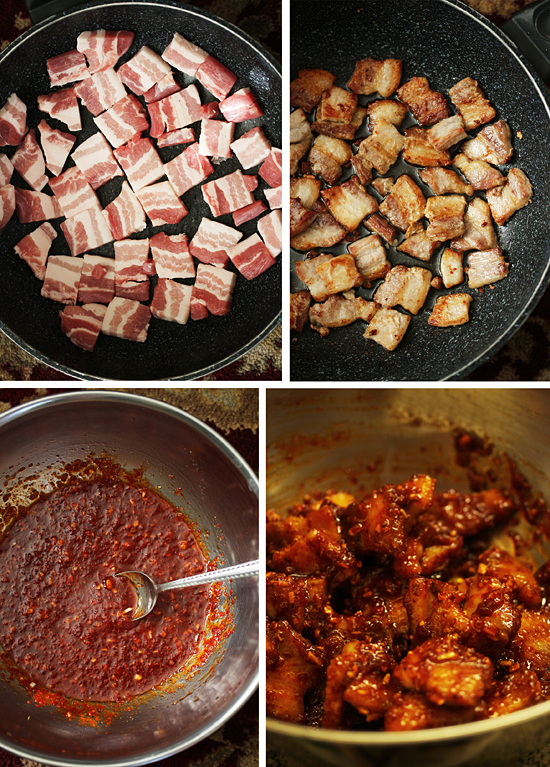 I had to render a lot of the fat from the pork belly and pour it off before I added it to the marinade. 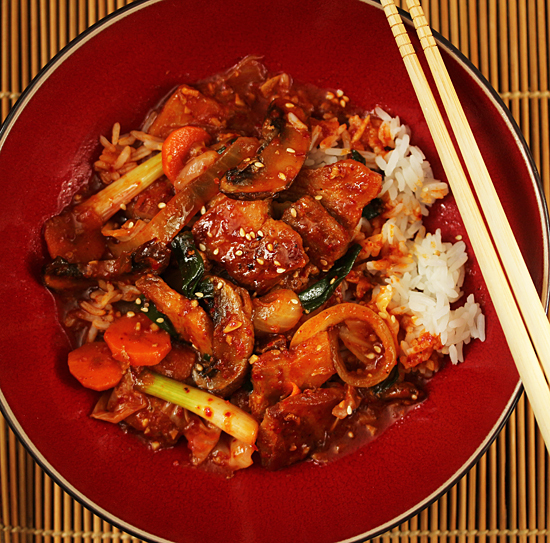 When you use chicken, the raw meat goes into the marinade and is cooked during the stir-fry. This stir-fry has crunchy vegetables: cabbage, onions, green onions, zucchini and carrots, which are only cooked for a few minutes so they don’t get soft. We like it served with rice to sop up the sauce. 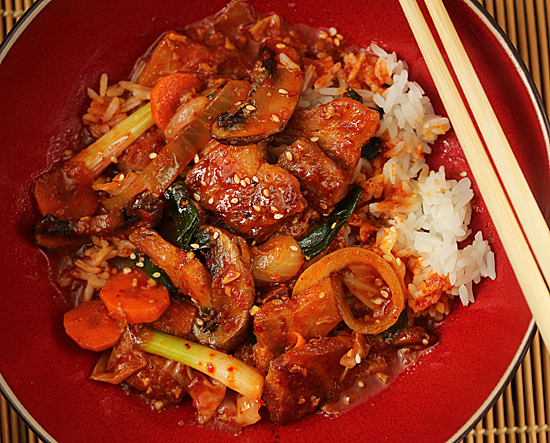 Oh, I hope you try this, because it is one of my favorite dishes of all time! 1. Prepare stir-fry vegetables, cover and set aside. 2. Whisk marinade ingredients together in a medium bowl. Add chicken pieces to coat thoroughly and let sit for 30 minutes. 3. In a wok or large non-stick pan, heat sesame oil over medium-high heat. Add chicken and marinade, and cook for 4 minutes, stirring and turning continuously. 4. Reduce heat to medium and add chicken broth, stirring to incorporate. Bring to a boil and add stir-fry vegetables. Cook, stirring and turning , for 3 more minutes, or until vegetables are crisp tender. 5. Serve with rice, if desired. Sprinkle with sesame seeds. Bonjour, avant de tomber par terre, posez un gros coussin! hé oui, je fais partie du million de lecteurs de votre blog et je suis française en plus. Merci et continuez pour atteindre les 2 millions. Congrats on your well-deserved popularity! My mouth and eyes are burning from the heat. Can you say “red pepper W-U-S-S?” I didn’t think so. Congratulations to you on your well earned readership. That is fabulous news. Brava! This recipe is altogether new to me. With ingredients I have never heard of, it is darn intriguing. 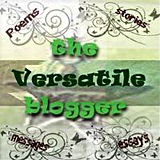 Thank you for the introduction! Love it! I’ve been buying the ingredients here and there so I could make this. Just finished making it and it’s delicious. Really packs a punch, so I’m going to prepare some rice now to ’sop’ it up! Thank you for the great recipe! Can’t wait to try this–it’s happening on Saturday!